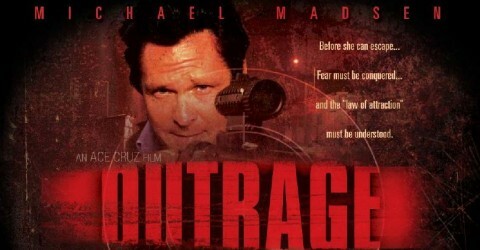 Michael Madsen (born September 25, 1958) is a Danish-American actor, poet, andphotographer. He has starred in central roles in such films as Reservoir Dogs, Donnie Brasco andKill Bill. Actor Michael Madsen, best know for his cinematic roles in Reservoir Dogs, Donnie Brasco, Kill Bill I & II and most recently in Tarantino’s biker film Hell Ride, has joined this year’s Love Ride 26– the largest one-day motorcycle event in the world. Madsen will be raising money to benefit local charities in the 40 mile ride from Glendale to The Pomona Fairplex on Oct. 25th. Madsen will be in full regalia as “The Gent,” riding the authentic Gent motorcycle he personally designed for the movie Hell Ride, which is an S&S bike with a Harley shovelhead motor. After the ride Michael Madsen will be signing copies of his new book American Badass and autographing photos at the Pamona Fairplex to celebrate California bike week.